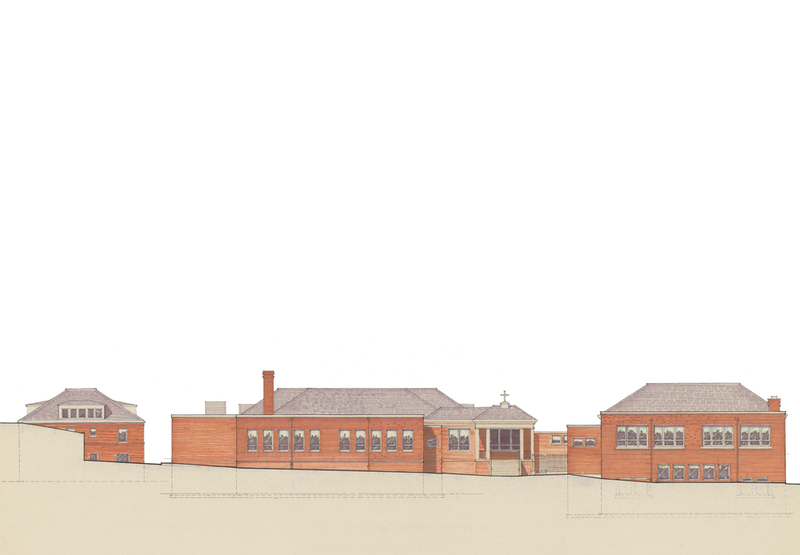 Fifty years after the construction of the initial St. Agnes School, O’Brien & Keane was commissioned to design a renovation of the classic Catholic school architecture. The scope of work included replacement of the old heating system and installation of air conditioning, and complete replacement of the electrical and plumbing systems, as well as the windows and interior finishes. Two years later, as the school enjoyed exceptional growth in enrollment, our architecture firm in Virginia designed an addition to reorient the school’s entrance to improve circulation and access, as well as a Junior High wing featuring six classrooms, a science lab, and a media center. Best known for our work with traditional Catholic church architecture, O’Brien & Keane also specializes in the design and renovation of school buildings like the St. Agnes K-8 school. Contact our firm today to work with us on your next project.